If you are a business owner, building owner, property manager, or real estate professional in Oakland, Macomb or Wayne County, we invite you to call Grant’s Tree Company. 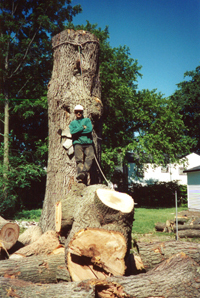 We are happy to develop a long-term working relationship in which we provide you with professional, on-time, and aesthetically-pleasing tree services, year-round. We are dependable, we come out when we say we will, and we handle each and every job with professionalism. We look forward to working with you. At Grant’s Tree Company, we understand and professionally handle tree services for retail, commercial, and industrial developments, campuses and premises. Our commercial customers appreciate our consultative and strategic approach to evaluating and maintaining their properties as well as our trusted service. As a result, we have significant long-lasting commercial relationships. Whenever you would like our help, feel free to call Grant’s Tree Company, and we will meet directly with you to discuss your property(ies) and learn your goals and specific requests. We will physically walk the grounds, assess each tree and bush, and discuss our suggestions as to next steps and an overall plan for your property(ies).